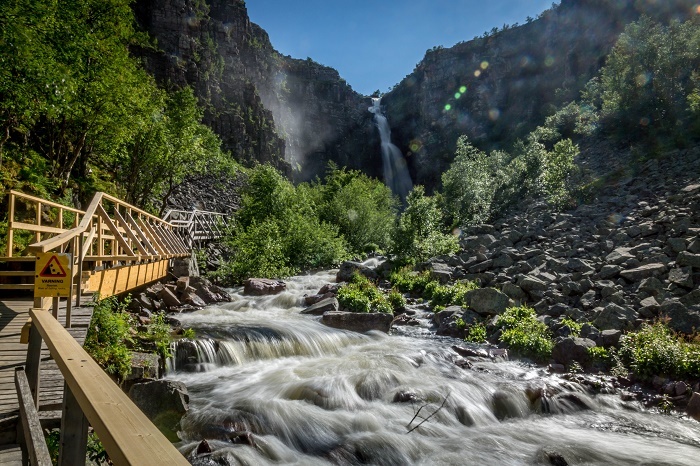 Njupeskär Waterfall is one really impressive and grandiose natural waterfall which is part of the Njupån River in the Fulufjället National Park within the Kingdom of Sweden. 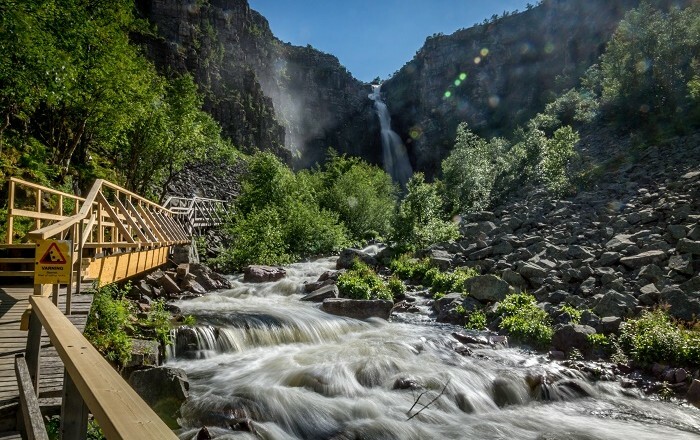 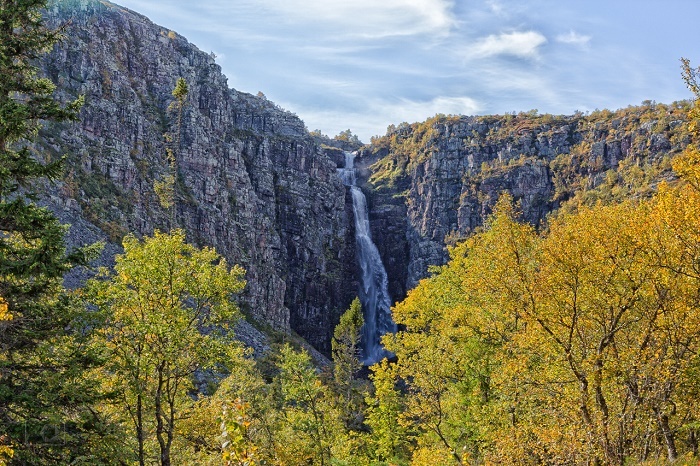 With a total height of about 93 meters (305 feet), it definitely is the highest waterfall that can be found in Sweden, nevertheless, with the new technologies, some are estimating for the fall to be around 125 meters (410 feet) tall with a plunge of 95 meters (312 feet). 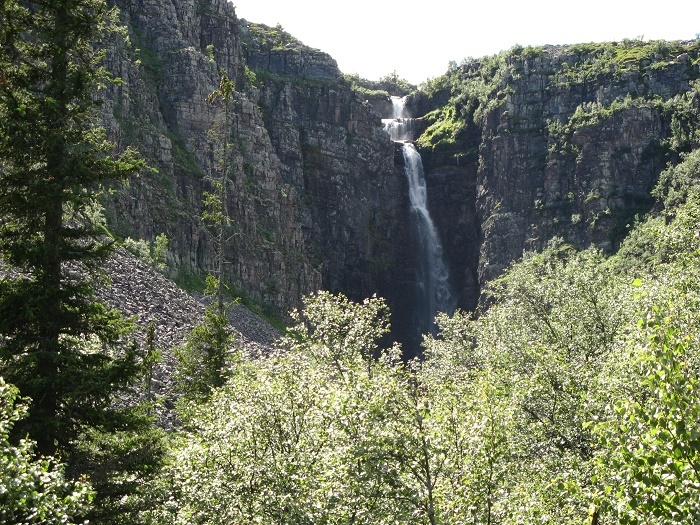 The size of the waterfall can be heard through the great volumes of water crashing down which is almost deafening, where the falling water creates a thick fog that is beneficial for a large number if unusual mosses and lichens along the precipies. 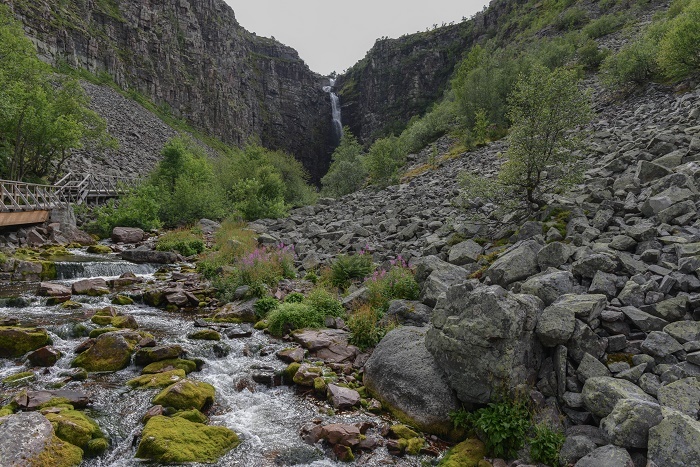 There is the possibility to hike on the Njupeskär trail, which is fairly easy. 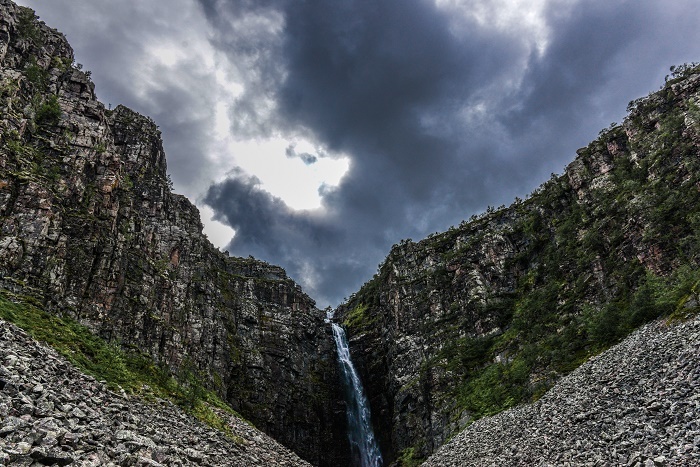 The impressive waterfall falls over the rim of eroded sandstone plateau of Fulufjället National Park, and interesting fact is that only few days per year, usually early in the mornings, the sun shines on the waterfall. 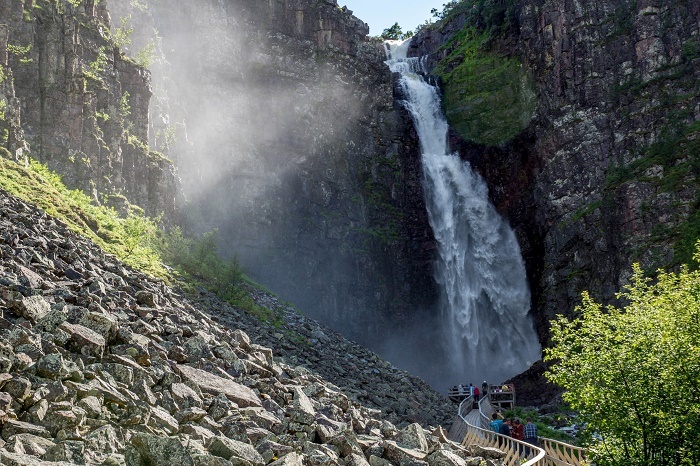 Nonetheless, still being questioned as whether it is the highest waterfall in the Kingdom, it is something extraordinary from the Swedish nature, which is beautiful and alluring at the same time, whether one is visiting in summer or winter.